New York City, famously called the Big Apple, is definitely the most well-known city in the world. In fact, the city is so famous that most people are even familiar with some of its iconic locations be it the upper-class Manhattan, the hipster Brooklyn, or the urban Queens. Some of the most popular attractions in NYC are the Statue of Liberty, the Empire State Building, and the Central Park. Other attractions are also Time Square, or if you’re more into finer arts, then the Broadway theaters. Regardless of what you like, New York has it all, and these are the best boutique hotels in the city. 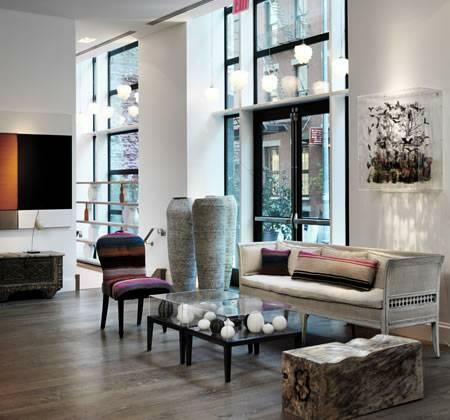 The Crosby Street is a boutique hotel located in the hipster heart of the city — SoHo. However, despite being in one of the most popular parts of the city, it’s still sequestered in a quieter area, so that you can be in the center of action but still be a bit removed from it for peace. 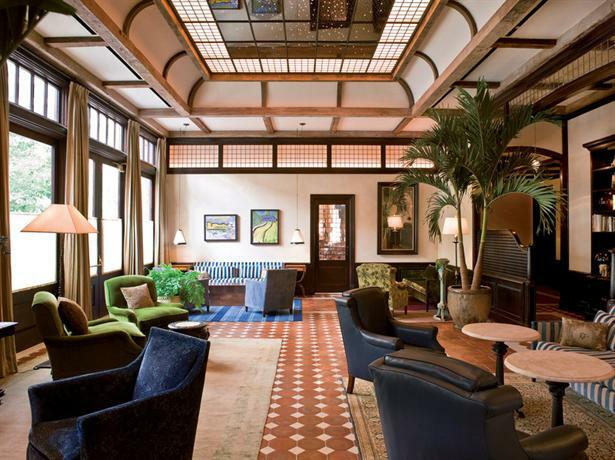 This boutique hotel is indeed quite retro and flashy, and it doesn’t shy away from that. The moment you enter the hotel you’ll be greeted with bright blue neon lights flashing against the clear-glass facade. However, despite the showy aspect of the hotel, it’s also quite charming, featuring dark wood accents, wooden flooring, and a moody color palette comprising shades such as mauve, off-white, and red. All of this goes really well with the general vibe of the hotel. In keeping with the boutique nature of the hotel, the staff is also really friendly and they learn your name and details almost miraculously so that they can personalize their service to you immediately. If you decide to spend the day indoors, you can watch some movies at their 99-seater theatre, or you can simply lounge by the pool. There are 86 rooms in the hotel and they all come with their own distinct identities, however unlike the lobby the rooms have been designed in a more subtle manner. If you get their famous Meadow Suite, you can also find yourself in a private garden. 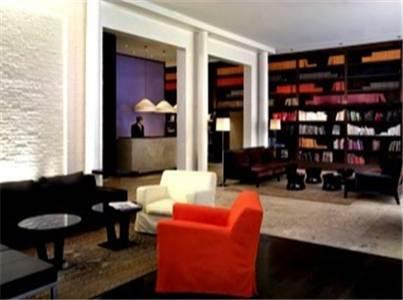 The Broome is another boutique hotel located in the hipster district of New York that is SoHo. This location is ideal for people who want to party, and be well connected to the rest of the city. You can walk over to the nearest subway stations of Houston and Spring Street. In case you’re in the mood to go shopping, you’ll find plenty of lovely boutiques and cafes just as you step out of the hotel. The interiors of the hotel have been designed in a manner in keeping with the quirky and hipster vibe of its neighborhood. The decor can only be described as a New York adulteration of classically European aesthetics. Some of their prominent pieces of furnitures include hardwood tables, and orange wingback chairs. These have a typically New York vibe about them, having been bought from the neighboring stores. The staff and service of the hotel is impeccable. They are friendly and know all your details even before you walk into the lobby. They never feel obtrusive, yet they’re always within calling distance, and even the check-in is handled with quick efficiency via iPad screens. There are only 14 rooms in the hotel, however they’ve all been designed in a unique style, and there’s a certain sense of intimacy in them that isn’t much found in general hotels. Their penthouse in the 5th floor has a terrace that looks across the adjoining street, and a balcony that looks into the courtyard as well. The Andaz Wall Street is located in Lower Manhattan which is certainly one of the more sequestered parts of the city, quite far from the primary attractions of SoHo, or Central Park. However, it’s really quiet, and you get the satisfaction of knowing that you’re in the historic heart of the city. In fact, if you enjoy the sense of heritage, you should make your way to Fraunces Tavern, which has been standing since 1762! One of the great things about this hotel is the fact that you can simply walk over to the ferry docks that can take you to the neighboring Staten and Ellis Islands. 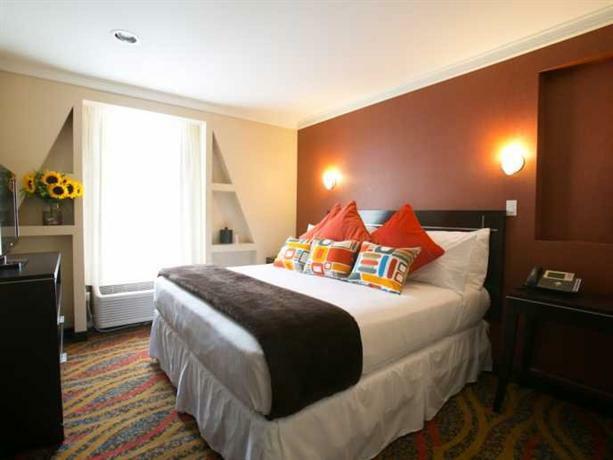 The hotel is really hip and trendy with a contemporary design, and a color palette mostly comprising red and black. In keeping with the hip aesthetic, the staff is also made to wear designer clothes, and they don’t use a formal reception desk, instead opting to check you into your rooms electronically via iPads. The walls of the hotel are also graced with beautiful modern artworks by local artists. 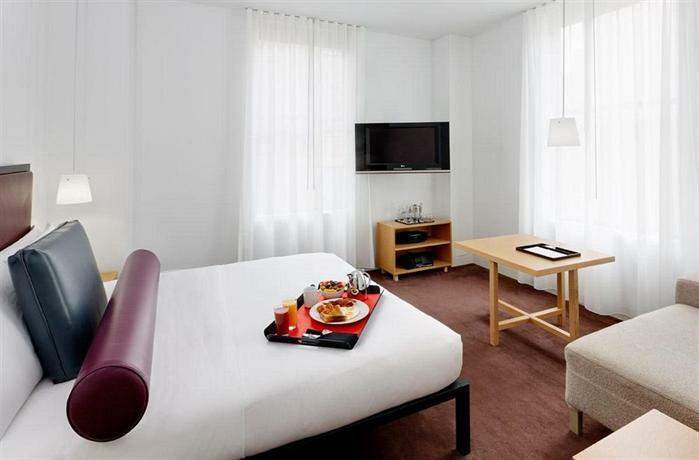 The rooms in the hotel are spacious and bright with large windows that allow plenty of natural light to flood in. The rooms also offer sweeping views of the city. Aesthetically speaking, the rooms feature a lot of oak wood fixtures and installations, whereas the bathrooms mostly feature marble tiles. 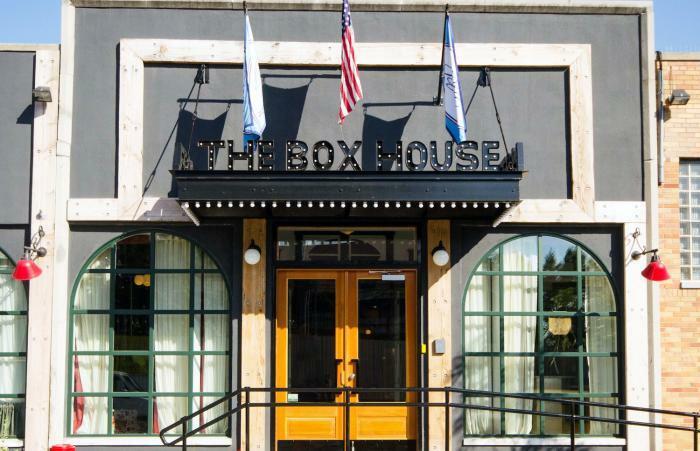 The Box House is the ideal hotel for all artists and hipsters as it’s located in Brooklyn, and is within walking distance of Greenpoint and Williamsburg. The latter of these is one of the most popular locations in all of New York when it comes to trying gastronomic delicacies and delights that go just a little bit off the beaten path. The rooms have been designed in such a manner so that they feel lived-in, and they feel like you’re crashing at a friends place rather than in a cold hotel room. If you want to explore the city like a local, this is the ideal place for you. However, like a true boutique, you won’t find yourself pampered here, for that you’re better off finding a generic luxury hotel. 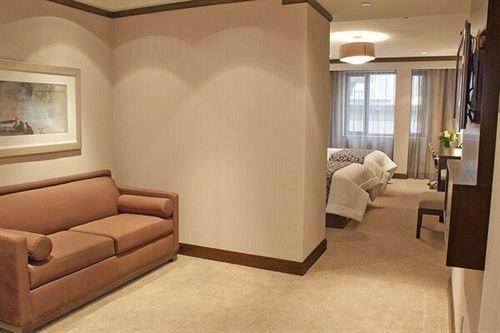 The rooms, as already mentioned, have an apartment loft kind of vibe, though much nicer. They feature bright and bold colors on the walls, random works of art, and floors made of hardwood. 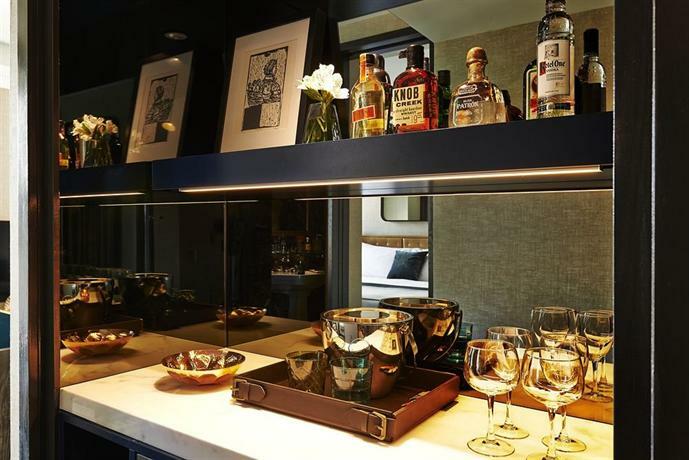 The rooms also come with their own mini-kitchens and Nespresso machines, and as such this is definitely a place you can imagine staying at for an extended period of time as well. 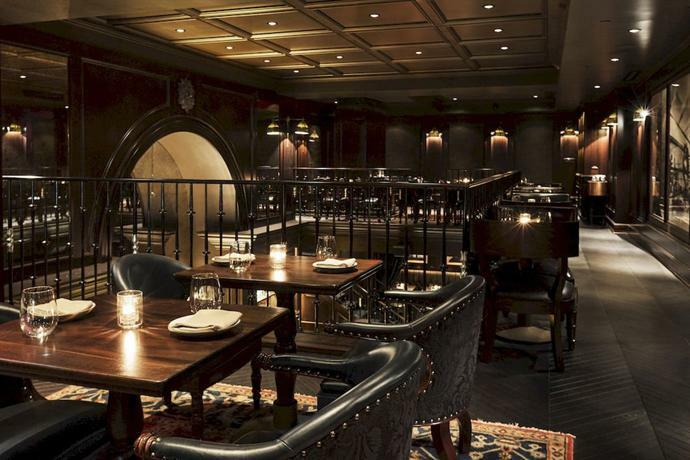 The NoMad hotel is a cool boutique hotel situated in a truly amazing location. It’s on Broadway, so if you fancy yourself a theatre kid, you can be in the theaters every evening taking in the delights of the world’s finest plays and rubbing shoulders with some of the most artistically inclined people in the world. After watching a play, you can also take a short stroll and find yourself in the Empire State Building, or go a little further and find yourself in Madison Square Garden. This a true boutique hotel that intends to give you a homely feeling, to make you feel like you belong in the Big Apple, and as such the service is also knowing and intimate rather than being coldly efficient. To enhance that homely feeling, the rooms are also made to feel more warm and comfortable, with the generous use of pillows, blankets, random artworks hanging on brightly painted walls, and just a strong sense of personality. The common areas of the hotel have been designed in a manner resembling a true Parisian abode, with European stylistic elements like tiled floors and vast ceilings, along with amenities such as beautiful Persian rugs, spiraling staircases, and a lovely 2 centuries old fireplace. Of the 168 rooms available in the hotel, you should opt for one of the rooms in the higher floors, as they offer the best views in the city. The Pearl is located in the most popular site in all of New York — Time Square. However, this great and central location can be quite a double edged sword. Being in Time Square, you’re smack right in the middle of all the action, however that also attracts a lot of noise and commotion that you might find annoying. As far as the interiors of the hotel are concerned, they’re really quite ordinary, as if to counteract the sheer excess of the neighborhood. There are 94 rooms in the hotel, and they’re all designed in a simple aesthetic that emphasizes comfort and cleanliness. It’s not the most attractive option out there, but if you’re in Pearl, you’re not here for the hotel, you’re here for the location. 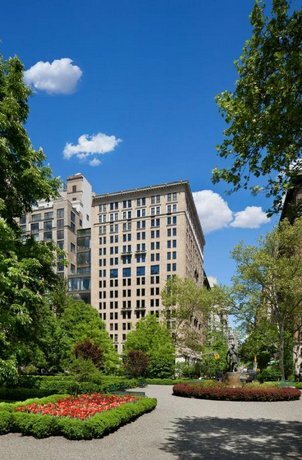 The Bryant park is one of the lesser known hotels in this list, but they’re located in one of the finer locations in the city. Being in their namesake Bryant Park, they’re within walking distance of such attractions as the Times Square and the Grand Central Terminal. One of the more attractive aspects of this hotel is the fact that all the rooms have the pleasure of looking out at the adjoining park in the mornings, and this park was actually the venue for the Fashion Week when it first took off. There are 100 rooms in the hotel and they incorporate aesthetic elements from places as diverse as Tibet and Italy. Located in southern Manhattan, one of the distinct features of this luxury hotel is that you can hear the pleasant calls of seagulls in the morning. Depending on what you want from New York, you would either hate it or love it. It’s quite far removed from the hustle and bustle of the city, which can either make you feel lonely or solitary depending on how you look at it. Every morning, you are greeted with nothing but peace, quite, and pure unadulterated sunshine glittering off the Hudson river. The rooms bear a lemon-yellow and sea-green color palette to further make it more lively and bright. The Mercer is the prefect boutique hotel for you if you want to be in a dreamscape land of cobblestone pavements flanked with boutique stores and cafes. The structure on which the hotel has been built was established back in 1890 and served as an artists’ retreat. 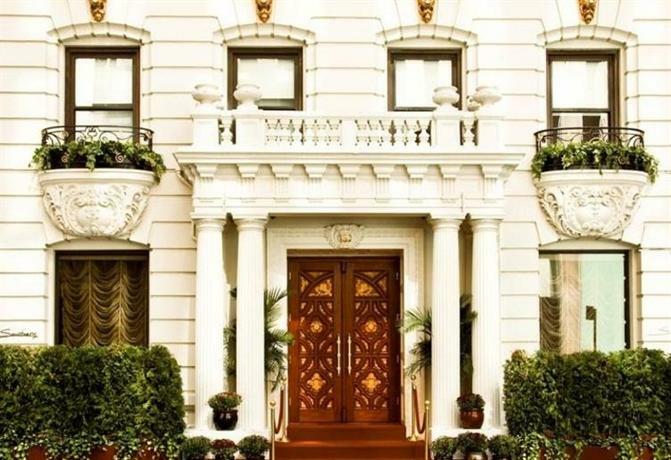 Now, it truly lives up to that heritage by being one of the most stylish hotels in all of New York. Instead of a hotel, this is more like being in a town house of your own. It feels intimate in a way that a regular hotel just can’t. Of course, to achieve that intimacy you have to sacrifice certain other things, namely the luxury of swimming pools and saunas. The Greenwich, as the name suggests, is located on the cobblestone pavements of the beautiful Greenwich street, and is just a block from the Hudson River. The hotel has been designed with a really wacky set of influences, taking inspiration from Morocco, Europe, and even the East! However, instead of the different stylistic elements contradicting each other, they work beautifully together. There are 88 rooms in the hotel, and they’ve all been designed in different aesthetic styles. For example, some of the rooms may feature European aesthetic elements whereas others may feature Scandinavian touches. 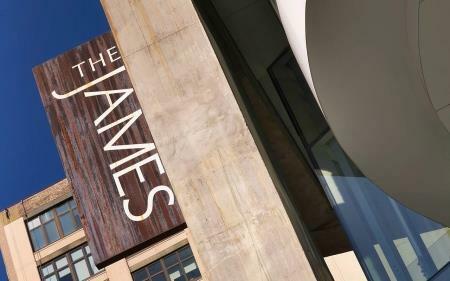 The James is located quite close to the Canal Street subway station, and is in the center of SoHo, the prime artistic soul of the city. The hotel has been designed in a chic and modern style with some abstract works of art as well. For example, the glass elevator features a long vertical abstract piece, and the walls of the hotel are lined with abstract modern works of art. There are 114 rooms in the hotel, one of them being the penthouse suite. The hotel features a color palette of beige, brown, and grey, with major black and white touches. The rooms feature mostly dark wood floors, and they have really sprawling windows so there’s always plenty of natural light flooding the rooms. 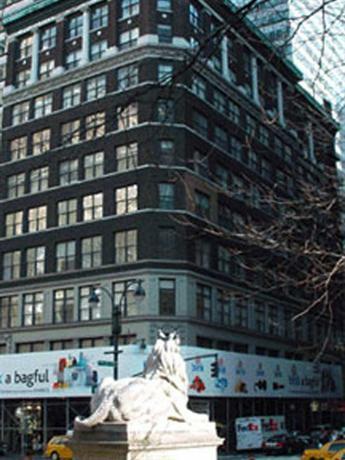 The Sanctuary hotel is well within walking distance of several tourist attractions such as the Rockefeller Center, and the high-end shops of Fifth Avenue. This is a fabulous boutique hotel made in earthy neutral tones and colors. There are 113 rooms in the hotel, and they’ve all been decorated with Frette linens, chocolate-colored headboards, fireplaces, and even chandeliers! As such, the rooms are about as grand and trendy as the rest of the hotel. 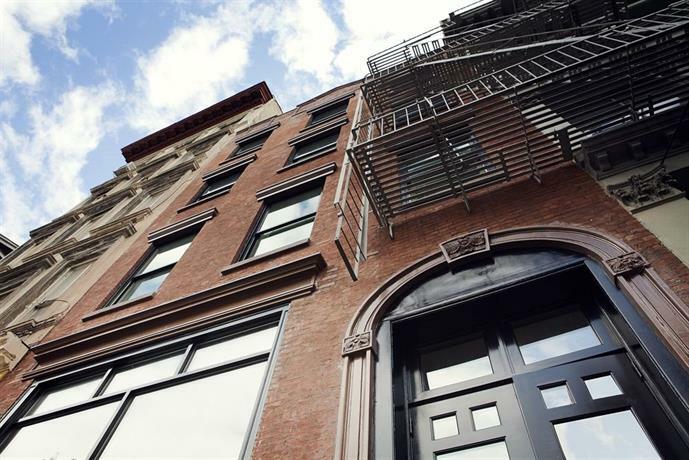 The Sixty Soho is located in a more quiet corner of this thriving hipster hub of the city. This is a five star hotel however it embodies more of a boutique spirit. It’s modern and contemporary, however it also has a really warm and vibrant beating heart. For example, the lobby features a fireplace that is surrounded by a library of great volumes, and a number of brilliant artworks lining the walls. The hotel encourages guests to slow down, to have a look, and find company in each other. The Gramercy Park hotel is a sequestered hotel away from all the noise and cacophony of the city, yet still well enough within accessible distance. The 6 train is within walking distance and as such when you’re done with your isolation, you can easily find access to other parts of the city. The hotel never ceases to stun those who visit it. It’s replete with red velvet cushions, and grand Louis XV chairs, and as such it definitely feels very extravagant. There are 185 rooms in the hotel and they accurately represent the wacky and charming aesthetic sense of the hotel. The Nesva Hotel is located in the most upper-class address in all of New York, in Long Island. However, it’s also quite far from all the action and activities of the city. For example, if you’d like to go to the nearest subway, you’ll have to walk 3 whole blocks, and all the prime attractions of the city are quite far. However, the rooms are colorful and vibrant and the neighborhood is fashionable, as such if you’re not looking to explore the city, this is a great hotel for you!